Azamara Club Cruises might be a small cruise line with three older ships, but it embraces destination immersion in a big way. The line's philosophy is not that the ship is the destination but that the destination is the destination, and aims to give passengers as much access to local cultures and experiences as it can in the ports that it visits. Is that marketing or is that reality? 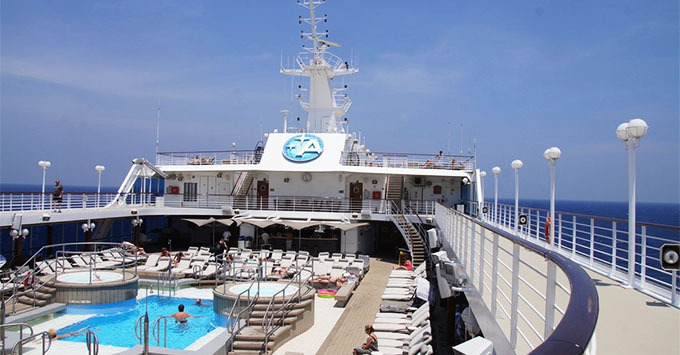 We spent more than a week onboard Azamara Quest, exploring the Western Mediterranean, in order to understand how the Azamara experience is or isn't different from other upscale cruises. Azamara is not the line for sea-day lovers. On our nine-night itinerary, there were zero days at sea -- not even a late-morning arrival in port -- and an overnight in Barcelona. The itinerary was a mix of big-time ports (Monaco, Livorno/Florence, Barcelona) and destinations very few cruise lines visit (such as Alcudia and Calvi, alternative ports to Palma in Mallorca and Ajaccio in Corsica). In many of the ports, a local representative came onboard in the morning to give advice to passengers looking to tour independently and better help them take advantage of their time in port. Azamara Quest stayed late in port on six out of nine evenings, with one of those an overnight. If you wanted to catch the nightlife in St. Tropez, enjoy dinner out in Corsica or catch a flamenco show in Barcelona, you didn't have to miss out just because you were on a cruise ship. We were impressed that the ship's daily newsletter made mention of a light display at the Magic Fountain of Montjuic in Barcelona for which no tour was offered; instead, it gave the nearest metro stop and indicated Guest Relations could assist passengers in figuring out how to make their own way there. On nearly every cruise, Azamara offers a complimentary evening event on a night the ship stays late in port. Usually, these are intended to provide a glimpse into the local culture, such as a polo match in the Caribbean, a classical music concert in Dubrovnik, an opera performance in Italy or a sea jousting tournament in Sete, France. Our AzAmazing Evening was a new one for the line, and the comedic ice skating performance in Marseille was not very good. Yet instead of doubling down and insisting it was great, the staff we spoke with were adamant that they would not settle for a mediocre performance and would file reports to get that event changed. The hotel director told us that more and more the line is falling back on proven winners so as not to disappoint passengers. 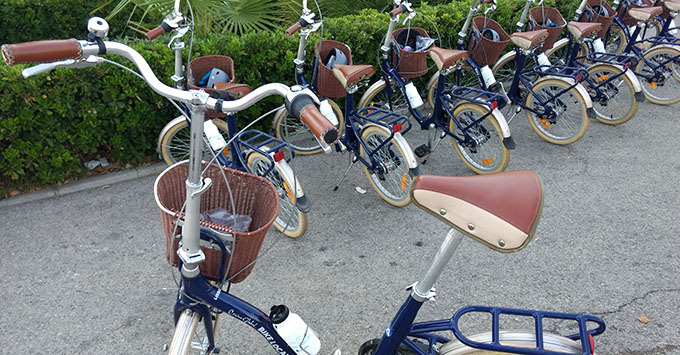 "Like a Local" is the catch-phrase of Azamara's shore excursions, which are classified "Bike Local," "Eat Local," "Meet Local," and so on. After combing through the tour offerings on our sailing and experiencing five of them, we came away with two main conclusions. The first is that Azamara is trying to come up with unique tours that showcase the local culture, attractions or history, but while some tours will strike you as different, you will find many ordinary cruise ship tours in the mix. The more interesting ones can sell out quickly (we were too late for our top two choices in Livorno), so booking early is a smart strategy. The line is also committed to no more than 25 passengers per guide/bus on most tours (sometimes fewer), which can make certain tours hard to get into, if the line can't add a second group. The other is that more than we can remember on other lines, Azamara tries to offer local snacks on excursions that are not otherwise food-oriented. On a boat ride, we stopped for local cookies and wine; a historic walking tour concluded with local cheese and cured ham; and a bike tour included a stop for a drink of freshly made horchata in Valencia. It was literally a small taste of local life. Local foods also find their ways onboard in two ways. The first is that the chef tries to procure local ingredients when he can and sets them up in a special area of the buffet. You could try local mussels in Monaco and cheese in France. In addition, a regional dish is on offer at the main restaurant and at the buffet on most days. While the ingredients might not be from the day's port, the recipes reflect local cuisine, so passengers can get a taste of regional dishes even if they don't stop for lunch or dinner in port. The commitment was much greater and more present than on other lines who might throw in a regional specialty on the dinner menu without a lot of fanfare.